The large cast included Bud Jamison and several terrific supporting actresses as nurses including Ruth Hiatt as the ‘Whispering Nurse’ and Jeanie Roberts as the ‘Hiccupping Nurse’, and the wonderful Billy Gilbert as D.T. patient. 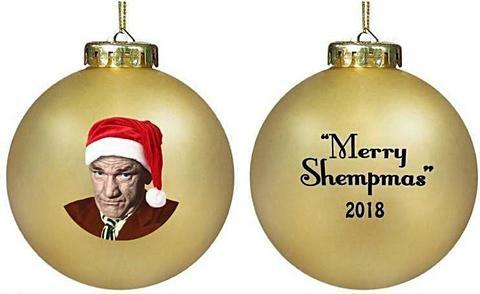 In addition to Larry, Curly and Moe, Dell Henderson – Dr. Graves, Phyllis Crane – Anna Conda, Hank Mann – window glass installer, ‘Little’ Billy Rhodes – midget in bed. The short’s story was by Felix Adler and directed by Raymond McCarey who would also direct The Boys next short, Three Little Pigskins again collaborating with writer Felix Adler. As we mentioned, Phyllis Crane was also in Three Little Pigskins with another up-and-coming actress you may recognize by the name of Lucille Ball. A parody of MGM’s Clark Cable movie Men in White. “For Duty and Humanity” is the pledge the Stooges made when they play medical students who have graduated with the “highest temperatures in their class.” At Los Arms Hospital, three brainless interns – Doctors Howard, Fine and Howard – promise Dr. Graves, the hospital superintendent, that they will devote the rest of their lives to “duty and humanity!” Instructed to rush to any room whenever “Dr. Howard, Dr. Fine, Dr. Howard” is heard over the loudspeaker, call after call features an assortment of surreal, oddball doctors, nurses, and patients. An emergency leads them to operate on Dr. Graves himself after he accidentally swallows the combination to a safe containing life-saving radium. A perennial fan favorite, Men In Black spawned three lines (quoted above) that have become ingrained in Stooge lore. Other memorable lines from the short include Billy Gilbert exclaiming: “Look!… Great big, giant, green canaries!! !” Larry remarking: “Let’s pluck ‘im and see if he’s ripe!” And, of course, The Boys mixing a concoction using special ingredients including Anapanaca. Men in Black was the only Stooge film to receive an Oscar nomination. The opening title music is “I Thought I Wanted You,” by Archie Gottler and Edward Eliscu. The first use of mallet as anesthesia. 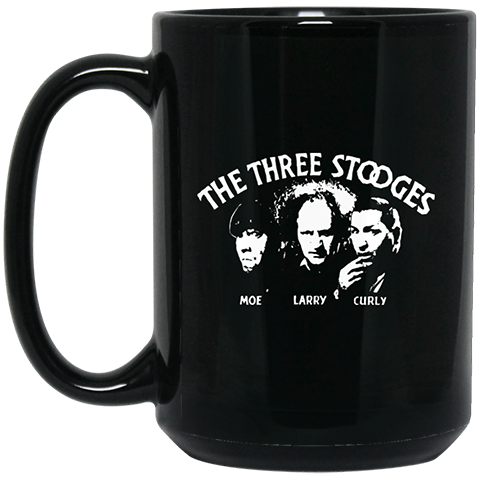 During an operation, the Stooges knock out a patient with a mallet. This routine is used in five other shorts and a feature film. Can you name them? Phyllis Crane played a patient, not a nurse. Her role as Anna Conda is one of the most memorable of all the female supporting players. She made 61 films in an eleven-year span including several with The Boys (besides Men In Black): Three Little Pigskins, Uncivil Warriors, Hoi Polloi, Ants In The Pantry and A Pain In The Pullman. This was the first use of several popular Stooge routines. 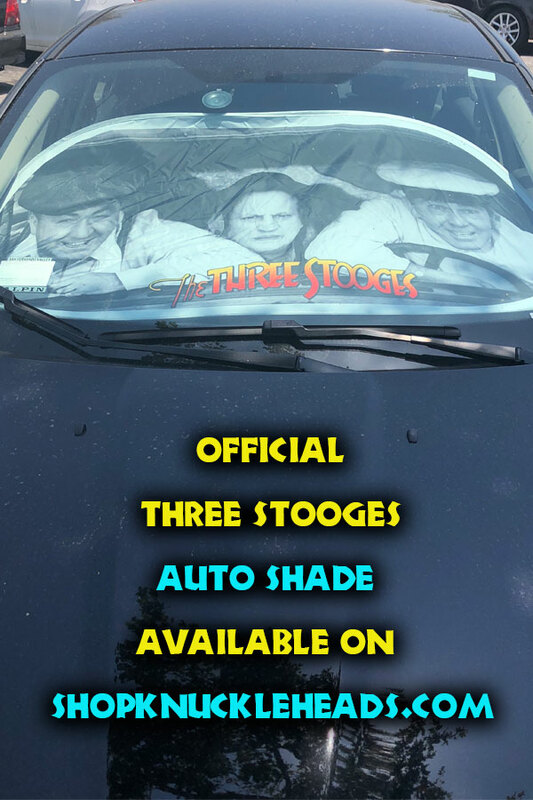 One we call ‘I’ll do it when I’m ready!’ where Moe orders one of the other Stooges to do something, but they bravely yell back “I’ll do it when I’m ready!” Moe then asks “Are ya ready?”, and then the Stooge meekly says “Yeah, I’m ready…” Also used in Three Dumb Clucks, We Want Our Mummy, I Can Hardly Wait, Who Done it? 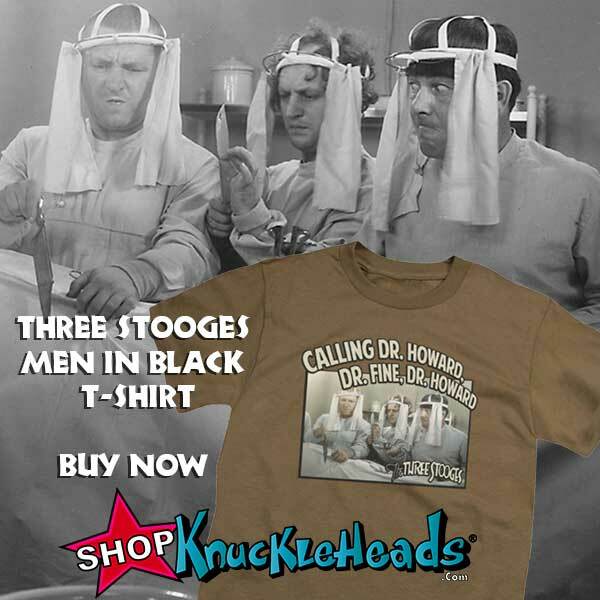 Plane Nuts, and the feature film The Three Stooges in Orbit. Stooge Goof: As the short begins, the clock in the upper left corner of the loudspeaker call board starts off at 1:50 pm, goes to 2:40 pm quickly, then back to 1:50 pm for the rest of the short, where it’s still seen at the end as the boys destroy the call board. The ‘Los Arms Hospital’ is the Cedars of Lebanon Hospital, now a Church of Scientology. Moe’s daughter Joan Maurer gave birth to Moe’s grandchildren there.